Kayla Williams is one of the 15 percent of the U.S. Army that is female, and she is a great storyteller. 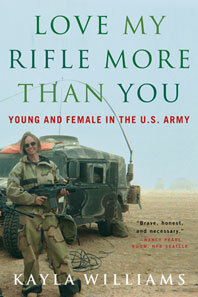 With a voice that is “funny, frank and full of gritty details” (New York Daily News), she tells of enlisting under Clinton; of learning Arabic; of the sense of duty that fractured her relationships; of being surrounded by bravery and bigotry, sexism and fear; of seeing 9/11 on Al-Jazeera; and of knowing she would be going to war. 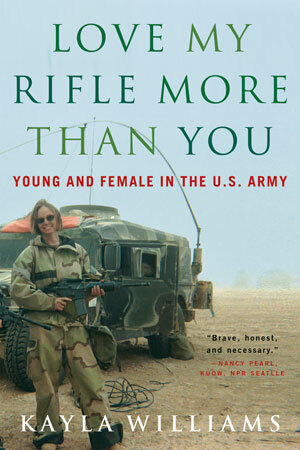 With a passion that makes her memoir “nearly impossible to put down” (Buffalo News) Williams shares the powerful gamut of her experiences in Iraq, from caring for a wounded civilian to aiming a rifle at a child. Angry at the bureaucracy and the conflicting messages of today’s military, Williams offers us “a raw, unadulterated look at war” (San Antonio Express News) and at the U.S. Army. And she gives us a woman’s story of empowerment and self-discovery.